Credit repair is the process of trying to correct errors from credit report by disputing the inaccuracies to the three major reporting agencies. Credit repair is also trying to remove and/or delete accurate derogatory items by disputing it to the three major credit reporting agencies in the hopes the creditor does not respond to dispute within the 30 days mandated by law. 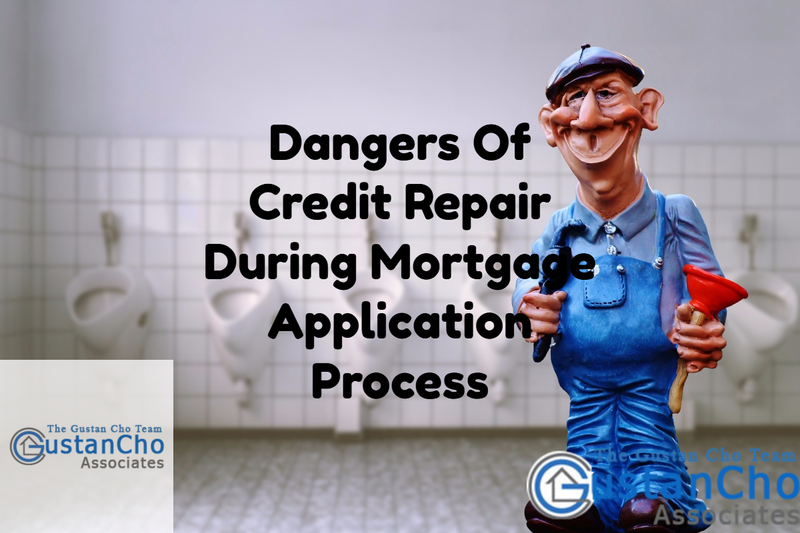 Home buyers or homeowners needing refinance who are undergoing credit repair either prior or during the mortgage process need to make sure they understand the danger of credit repair during mortgage application process. Other dangers of credit repair during mortgage application process is that retracting credit disputes can plummet credit scores where they can not qualify for mortgage due to not meeting the minimum credit score requirements. If borrowers retract a credit dispute on a recent collection account with an outstanding credit balance, the chances are that credit scores will drop. Why Are Credit Disputes Not Allowed During Mortgage Process? How much does it increase? The above is the main reason why credit disputes are not allowed during the mortgage application and approval process. With the above, does disputing the above credit scores? The answer is yes. Disputing medical collections, especially if it is a recent medical collection account posted on credit bureaus, the credit reporting agencies will automatically negate the derogatory credit item from the credit scoring formula. The negative item will still remain on the credit report the verbiage “consumer disputes this account: Not resolved” will remain. However, if the dispute comes back as verified and the credit bureaus will state that dispute resolved, the consumer credit scores will then drop again because the credit reporting agencies will re-factor the negative item back in the credit scoring formula. Many borrowers, credit repair companies, and even loan officer think that by removing public records off credit report will qualify borrowers for mortgages. There is no way of finding out whether or not the above is valid or not if it is not on the borrower’s credit report. The above are not public records. However, on public records, all lenders will do a third party national public records search and all public records will get discovered even though it is not on the borrowers credit report. There are many credit repair companies, and, unfortunately, loan officers, that are under the assumption that by deleting public records will solve a borrower’s problem in qualifying for a mortgage. This is absolutely not the case. Nothing is wrong with credit repair. However, borrowers need to educate themselves on the dangers of credit repair during mortgage application process. Borrowers who need to qualify for a mortgage with a direct mortgage lender with no overlays, please contact The Gustan Cho Team at Loan Cabin at 262-716-8151 or text us for faster response. Or mail us at gcho@loancabin.com. We are available 7 days a week, evenings, weekends, and holidays. Related> Does Credit Repair Work?